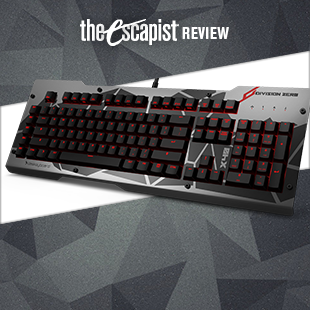 Das Keyboard is a company that is well known for making one thing - great mechanical keyboards. If you're familiar with the company, it's probably because of the Das Keyboard Ultimate, the mechanical keyboard that is sold with every single key blank. 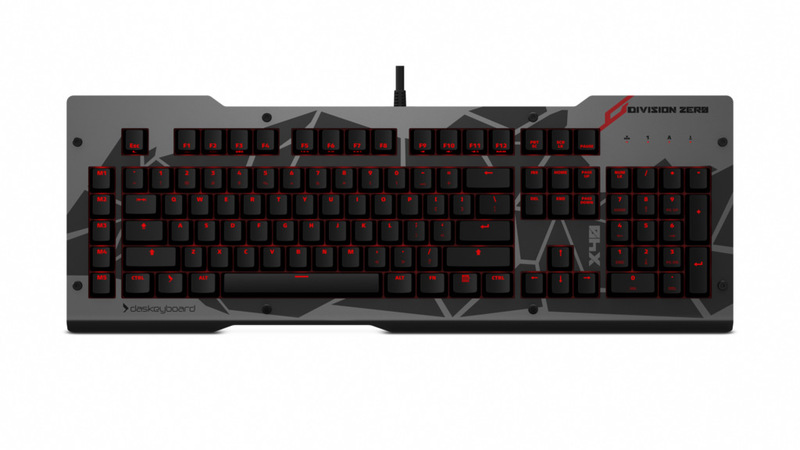 After its success in the mechanical market, Das Keyboard has made the move to join the roster of manufacturers in the high-end gaming peripherals market with their new Division Zero series of gaming gear. 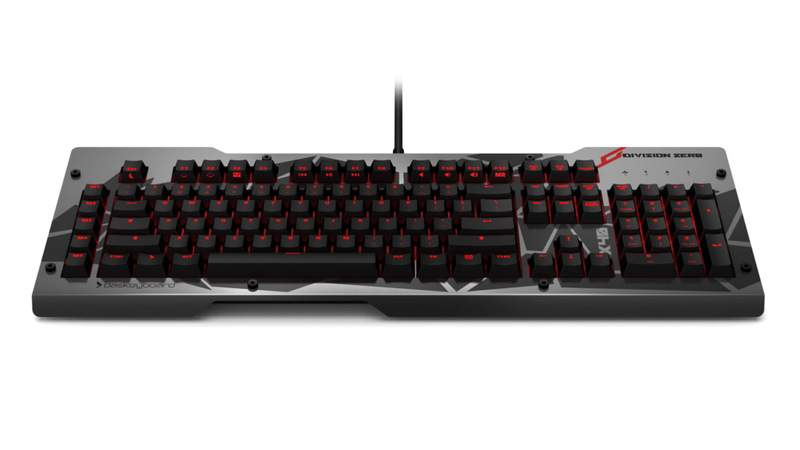 The flagship of that lineup is the X40 Pro Gaming Mechanical Keyboard. The first thing you notice when unboxing the X40 is that the top of the keyboard isn't plastic - it's aluminum. The default look of the keyboard is a matte gray finish with darker gray highlights. It's a distinctive, attractive look that manages to be eye-catching without looking garish. There's not a lot in the way of extra buttons here, except the five programmable macro keys on the left side of the keyboard. Although you may not see extra buttons on the keyboard, that doesn't mean it's missing features. 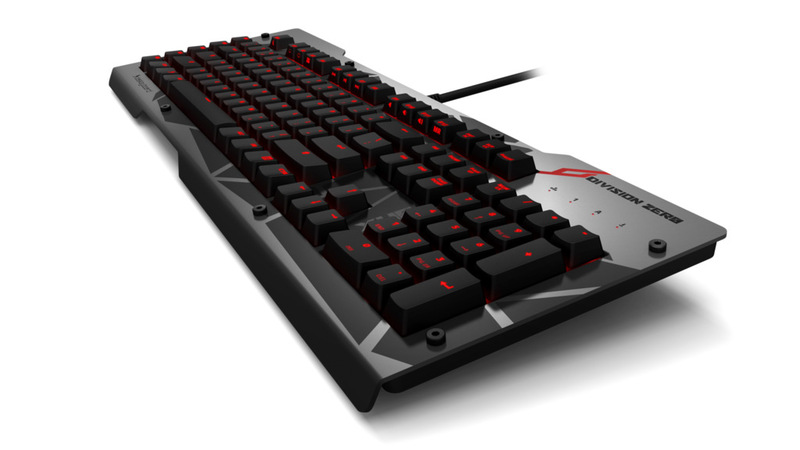 In fact, the X40 packs in most every feature you'd expect in a gaming keyboard these days, from its programmable macro keys, gaming mode button, and USB and headset passthroughs to the media and backlighting controls that can be found on the F-keys (and activated by using the "FN" key). As you'd expect, the X40 also offers full n-key rollover and anti-ghosting, so even if you're hitting multiple keys, you'll still get the result you expect. The extra-long (six-and-a-half feet!) braided cable is a nice addition as well. 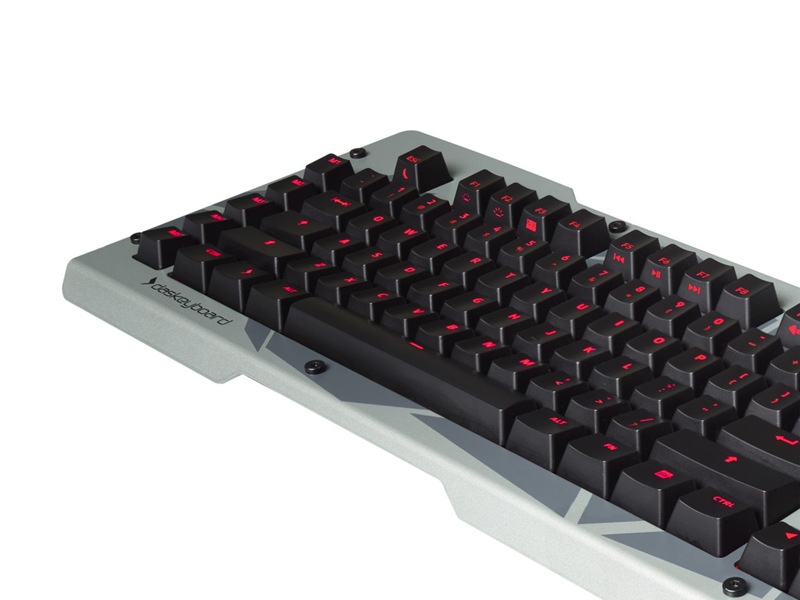 Like many of its competitors, Das Keyboard decided to design and use their own mechanical switches for the X40. The Alpha-Zulu gaming switches in the X40 are available in two models: The Alpha Zulu Tactile or the Alpha-Zulu Linear. The Tactile model features a tactile bump about halfway through a key press, while the Linear model does not. The review unit we were provided features the Tactile switches, which fans of classic mechanical keyboards should definitely enjoy. Not only do they have the aforementioned tactile bump, they also have that clicky sound that only a mechanical keyboard can give you. Das Keyboard says that the thicker gold plating on these switches extends their lifespan to 60 million keystrokes. The X40's keys feature red backlighting for improved vision in the dark. Unlike many keyboards available today, there's no way to customize the color of the backlighting, although the X40 does offer five levels of brightness, as well as the option to just turn it off entirely. But if customization is your thing, don't despair. Das Keyboard still has you covered. The aluminum top panel that was mentioned earlier is attached to the body of the keyboard with 8 screws, which allow it to be removed and switched out for one of a number of other aluminum panels. At launch, the X40 offers two different panel designs and four colors (sold separately). These options allow you to fit the keyboard to your personal style. The only drawback is that the extra panels are a bit pricy at $39 each. As you'd expect from seeing the Das Keyboard name on the box, the X40 is a very solid peripheral, and quality of the build is evident when you use it. It packs in all the features you'd expect, and does so in an attractive package. It's equally competent for both gaming and typing, making it an excellent choice if you're working and gaming on a single machine. At its $149 price point, it's definitely worth the investment. 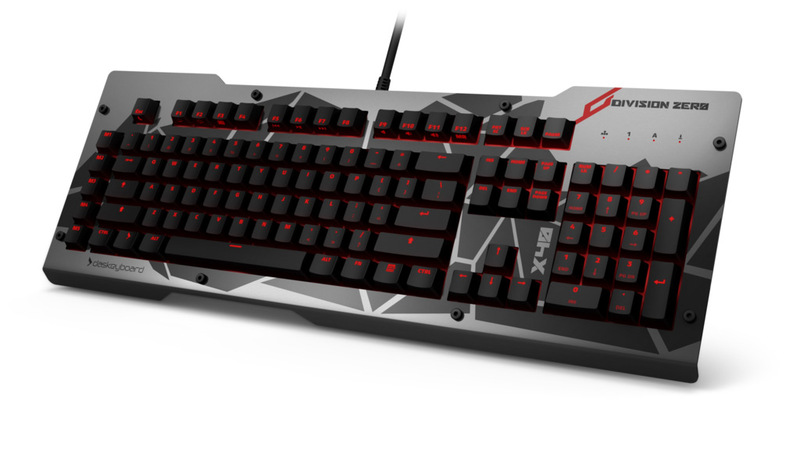 Bottom Line: Das Keyboard's first keyboard targeted at gamers is a well-designed, effective unit that would be a great addition to any gamer's desk. Recommendation: If you're looking for a mechanical gaming keyboard that has all the bells and whistles you need, but still feels great to type on, check out the X40.